One last trailer for the latest installment of the simian sci-fi series. 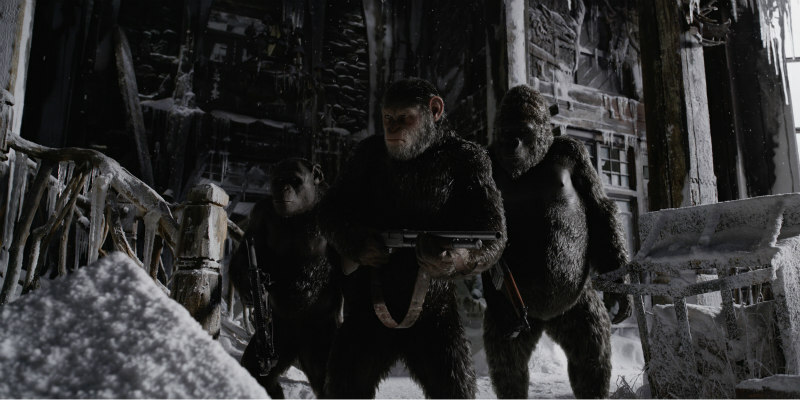 The third chapter in the rebooted Planet of the Apes series comes to UK/ROI cinemas July 14th. Dawn director Matt Reeves returns, along with Andy Serkis in the mo-cap role of Caesar. Joining the cast this time is Woody Harrelson as the human antagonist, a colonel determined to save his race and destroy the apes.